For over 40 years, hundreds of cases of corporate environmental performance have been analysed against corporate financial performance. But there were no conclusive results. To decide whether accounting for natural resources pays or otherwise, and to understand how its effects would be meaningful, we need to examine existing measurement approaches, available theories, and the empirical evidence. This was the starting point of Prof. Edeltraud Günther’s presentation at Nexus Seminar No. 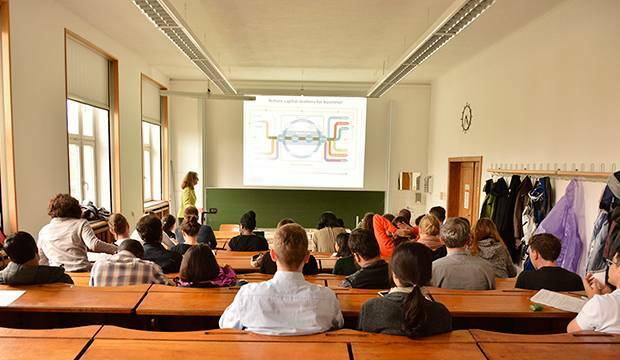 28 with the title of “Does It Pay to Account for Natural Resources?” held at Technische Universität Dresden on 16 April 2018. 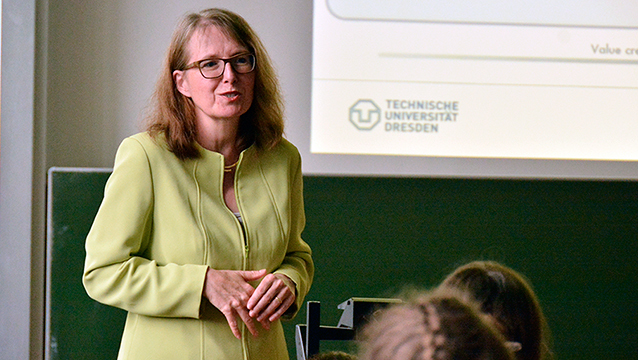 Prof. Edeltraud Günther is the Chair of Business Management (Environmental Management and Accounting) at TU Dresden. The lecture started with an introduction of the various types of capital that matter for business. Financial, intellectual, human, social, and natural capital are all relevant in business. In particular, we need to consider the correlation of natural and other types of capital. Natural capital is the world’s stock of natural resources, which includes geology, soils, air, water, and all living organisms (World Forum on Natural Capital). More efforts should be made, according to Prof. Günther, to give the public a more complete picture of the range of capital that should be considered by businesses, including and especially natural capital. This applies also to Germany. Elaborating on the importance of natural capital, Prof. Günther presented on why natural resources are relevant for corporate strategies. She related it to the concept of mitigation and adaptation. Through their activities, companies impact on natural capital. At the same time, they are also dependent on the very natural capital in order to function. This requires them to mitigate their ‘inside-out effects’ so as to preserve the environment that they are functioning in, while also considering strategies to adapt to the ‘outside-in effects’, which are the impacts of the natural environment on the companies. Prof. Günther went on to examine theoretical explanations and empirical evidence around the question at hand. Using the method of vote-counting on the question of where it pays to be green, strategic measures, surveys, events, and rankings derived a positive result. Prof. Günther, in addition, explained financial validity for the long-term perspective through meta-analysis. The pursuit of measures considering the environment can be beneficial for the business in the long run. Energy efficiency, for example, pays. It is thus even profitable to consider the natural resource accounting concept as one business perspective. Based on these empirical findings and the Natural Capital Protocol, Prof. Günther elaborated on business models incorporating the accounting for natural resources. She showed types of models that meet environmental objectives from the technological, social, and organisational fronts. To put things into more concrete terms, Prof. Günther illustrated how accounting for natural resources makes a net profit using the International Organization for Standardization’s ISO 14008 and ISO 14051. While companies may financially benefit from considering the environment, this is not without barriers. Moving its operations from one place to another, for example, may reset a company’s tally of environmental efforts. In connection to the Nexus Approach, Prof. Günther mentioned that the business sector increasingly recognises it. Companies are now considering not only the waste they produce but its effects on water and soil, too. However, while it is not that difficult to convince companies to invest in water and waste management, the case is otherwise for investment in land preservation. The problems associated with the latter (e.g., pollution, degradation) are not as visible as problems of water and waste. It is important to remind businesses to equally monitor various natural resources in all their processes. Ultimately, does it pay to account for natural resources? The answer is yes. The preservation of the natural capital that firms depend on will mean that the business is more sustainable in the long run. Emphasising the importance of natural resources in business would be a win for both the environment and business in the long run. 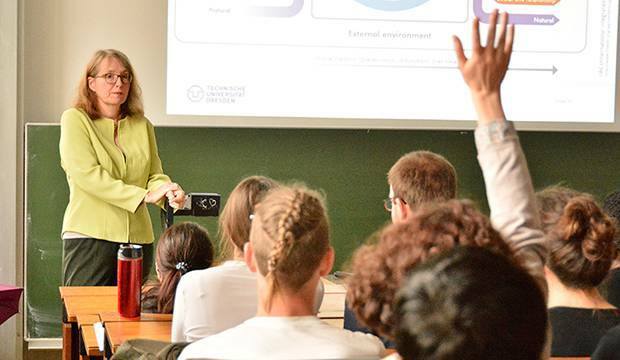 2018/04/16 15:00 - 16:30 Dresden, Germany Does it Pay to Account for Natural Resources?